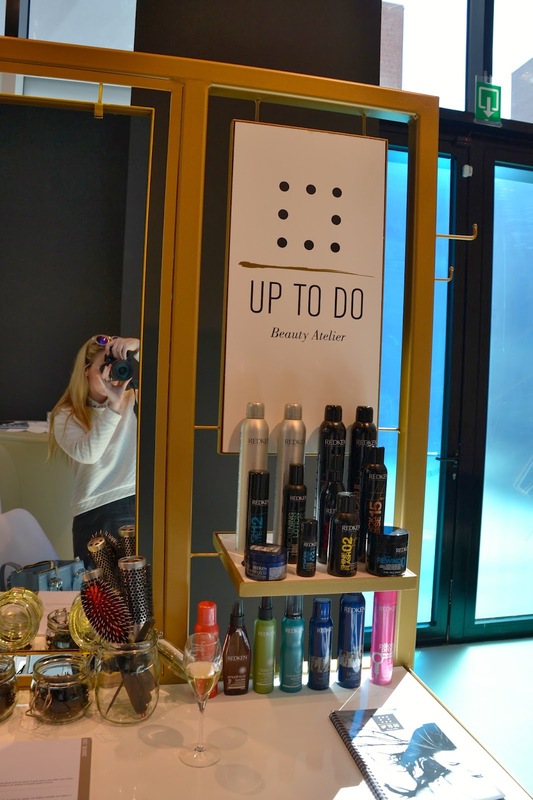 Yesterday I was invited to the launch of the up-to-do bar at Francis Ferent in Brussels. This permanent hairdo and makeup bar is located at the back of the Francis Ferent store. If you’re looking to get a quick updo or makeup for an evening out or during your lunchbreak if you’re going for after work drinks , well than this beauty bar is perfect for you ! At the beauty bar you are offered a hairstyle-menu of which you can chose from. There are simple updo’s and hairdo’s that take a bit longer to create. The simple hairdo’s are less expensive than the complex ones. They work with REDKEN products (fan!) and makeup-wise they work with KORRES. Thank you Céline for taking such lovely pictures ;-) ! Special thanks to Redken team, Francis Ferent & the ladies from up-to-do !